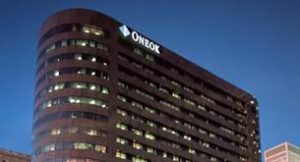 Tulsa-based ONEOK, Inc. plans to release its fourth-quarter and year-end 2018 earnings report after the market closes on Feb. 25, 2019. Executive management will hold a conference call the next day, Feb. 26 at 10 a.m. Central Time. The company had a big third quarter 2018. As it reported in October, there was a 40 percent increase in operating income to $495.5 million. Adjusted earnings were up 26 percent to $650.2 million. It also had an 18 percent increase in natural gas liquids volumes gathered and a 15 percent increase in natural gas volumes processed.